*** edit 01/13/19 this page needs a lot of work/edits/corrections. Base info is still solid though. In DP(08) I thought I was finished talking about color, or I thought I was finished sending my readers away . . . away to great sites that discuss all ideas, thoughts, examples concerning color. Well; as usual, I was wrong. By accident I have found a few other places I’d like to send you to when it gets to color. The 1st is a Hewlett-Packard site called the On-line Color Thesaurus where you enter a color and the thesaurus gives you other options that work with the entered color . . . it’s kinda fun. One of those great tools to use if there is a color you’re wishing to use but somehow it’s not quite the one. Boom here comes some other options that will achieve your solution-hopefully. Shockingly enough . . . Wikipedia! has a page on Crayola colors(133) and another list on the Crayola colors in historical context, if you’re a fan of Crayola this is a good link to keep. Another great page from the COLOURlovers site about Crayola and a lot of fun facts, images, inspiration, pallets, etc. In several previous post I went through the very elemental beginnings of my take on Landscape Design Principles. The last was how I looked at design when considering motion, and the two parts of motion; static and dynamic. Now let me turn my attention to the most discussed of all landscape design principles . . . color. More has been written about color than I could ever hope to even read, heck if I started reading now . . . I’d still be reading after I was dead. A reminder of my chart on these 10 building blocks. Line: the connection of two points. Plane: connection of several lines—2 dimensional. Form: connection of several planes—3 dimensional. 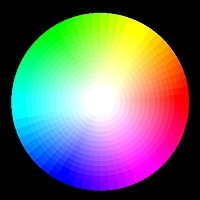 Color: an added bonus to 3 dimensional space—courtesy of light. Texture: as in manipulation of plane, form, and color. Sound: Most powerful, out of sight, or irregular rhythm. Touch/Tactile: human nature, drawn to . . . Smell: kicks in memory, most powerful. So how does a guy like me write about(blog about) color? What do I have to offer that hasn’t been written before? Well, probably nothing, that’s what. Not a damn thing. Color is overrated, that’s right . . . I said it, er, wrote it. Color, especially when discussing flower color is overrated. These flower colors last from a day to several months with most color range(s) in the 2-3 week range. With a time frame like that it would seem that the overall form, shape, texture, and foliage-especially foliage color is much more important in terms of landscape design. Heck, I’ll take it even further living here in zone 5/6 . . . it’s the winter landscape that needs more attention, a lot more attention. There are a lot of designers who would vehemently disagree with me, well fire away. Both barrels . . . I can take it. I will not back down that the overall effect of the designed space is more critical to the success of the landscape than any color scheme involved in that very space. So, do I ignore color completely? Heck no. I am always going to ask clients what color they do not like as opposed to color(s) they do like. Most often this is orange. I do pay attention to color palette in regards to planting backdrop. No sense having red flowers in front of a red brick house. I do like to stay with pastels together, and not have that mix with one or more hot colors. If a client wants it hot, stay hot. No need to drift off into something cool, or some of those nice pastels. Green is a color, a great color. You can get really creative with shades of green and create a awesome foliage planting, with year round interest. Some plants flower color looks great for two weeks, and like crap for the other 50(most Azaleas, Quince, Mock Orange, older Lilacs, etc . . . oops Forsythia!) plan for that. Plats that flower for two weeks are support plants . . . not focal plants! Still thinkin’ . . . more will come. I just know it. You all know how this works, as soon as I click off of this . . . boom! Another example of me and color. 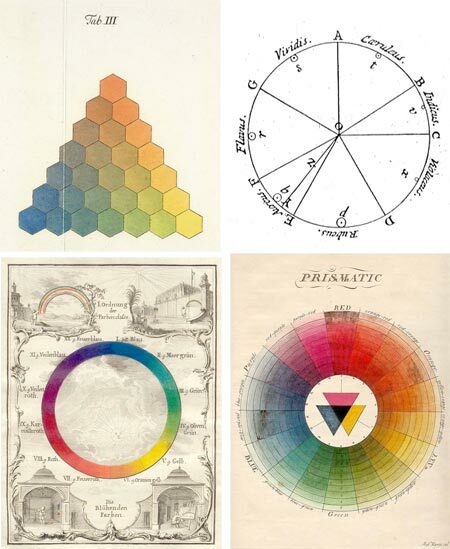 Here are several links to some real discussion/images/charts on everything you would ever want to know about all there is to know about color. This list has it all. It’s in pictures so you have to be feeling a bit adventurous and take a chance when you click a pic! The last two image both originate from a site called Colorlouvers. A very nice website where you can learn a lot about palettes and creating palettes. If you draw, paint, use color in any way(interior work? ), anything. You could spend a lot of time here, a lot. Color, that’s it. That’s all I got. Texture . . . you’re on deck! Let’s move a little further along my list of what I consider The 10 Basic Principles of Design. After discussing the 1st 4 in Design Principles(04), let me take a few minutes in discussing the idea of how I see the 5th of the first 7 physical elements which is motion. Motion; a design principle, I’m sure most folks have a very preconceived notion of what motion is. As usual I see things a little differently let us now look at how we see, act, and live with motion in the garden. the garden and just having a great old time. We need ways to travel and most times it helps to have some sort of destination to look forward to or see off in the distance. Static: Where the observer looks at the landscape from one particular point of view. The landscape may be in motion but the observer is at rest. Best example of this is one of those cool Japanese Gardens where the garden is very minimal and the observer as a great vantage point to view all before him. Dynamic: Here we are going through the garden and just having a great old time. We need ways to travel and most times it helps to have some sort of destination to look forward to or see off in the distance. Know the rule, break the rule. So is it only Japanese style gardens for static design? No, of course not. I would like you to consider the idea of the kitchen window, the den window, a 2nd story deck, the upper terrace, and the quickly fading fast-front porch. Plus as many other ideas for those anchored spots that you can think of. That one singular spot where the observer spends a lot of time-that view . . . is the money view. It really helps if there is some great focal point for the observer to focus on. Any focal should have a very dominating effect and the surrounding landscape should be very subordinate. Now look at this for a moment. This focal can have motion, it can be dynamic(think waterfall), or something that may move with the wind, changes with the weather, etc. Two other things. The foreground(the ground plane) should not distract from the focal just farther off in the distance. A background that helps the focal element(s) stand out also helps. The idea of moving through the designed space is where almost all American Designers spend their effort, or just take it for granted; as in, movement isn’t given much thought. Considering most designed landscapes are a collection of mulched beds bound together by grass. Movement, movement . . . we’ll just walk around the yard or step off the back patio onto the grass . . . then walk around the yard. The dynamic observer moving through the designed landscape. Look here, when a designer actually thinks about this design principle great things can-and usually do happen. There are a lot of ways good designers can move folks through their spaces. Walkways, pathway, stepping stone, boardwalks, narrow strips of lawn, steps, landings, etc. With each of the previous examples the designer can even speed up and slow down the movement of the dynamic observer. Interest here, a small wonder planted right down there, a piece of art off in the distance, a mysterious sound around the corner, and on , and on, and on. Low plantings, high plantings, sun, shade, seating, change on the ground plane, elevation change, slight change left/right, texture, color(more to come on this), all sorts of techniques for the designer to use in keeping the dynamic observer interested and moving along. With real design forethought a good designer can even find ways to put static points in a real dynamic landscape. A point in this dynamic landscape that is truly static, and follows the description above . . . is really, really good design. Good design, where a designer is creating absolutely great spaces. I wanted to go a little further on this idea of thinking beyond the ground plane. I keep coming back to this for a reason. Beginning designers, intermediate designers, and designers who are just not very good get stuck here . . . here on this surface and cannot think beyond this dimension. They cannot see the 2nd and 3rd dimensions. her night. A couple of quick doodles to show the deception of designing in plan only. The other big hang-up for this group of designers . . . thinking about the small, the details, the plant(s) before the look at the entire space . . . nothing kills designing a great space like looking at the small picture before the big picture. I’ve seen, or heard it hundreds of times, and I mean hundreds. Let’s take a look at two plan view drawings that I whipped up the other night. A couple of quick doodles to show the deception of designing in plan only. Plan view, steps, wall, terrace, plants, etc. how powerful drawing in front of your client>/em> is . . . So along with the above plan view designs/concepts I had drawn above, below are two renderings in what could be called 2D, or others might call them sectional drawings, for now lets call these 2 Rick Anderson sectionals. These are the same kind of sketches I am liable to draw on-site or in a meeting, to help the clients see/understand/visualize the potential for their space. I cannot state enough how powerful drawing in front of your client is . . . Focusing on the ground plane. Obviously the 1st plan view goes with the 2nd rendering, creating a okay space which looked really positive in the plan view drawing. In the virtual reality of the rendering . . . just so-so. The 2nd plan view drawing above was pretty meh(not so good), average, sufficient. Now look at my rendering for the space, the drawing below the 2nd plan view. Much more interest, a better definition of the space. look at how happy those people are. A place to hang out, find some shade, feel good and be with people or . . . as a space to relax, rest, enjoy, or even contemplate our economy! Back to the beginning. The work in more than one dimension helps in greatly defining that space and bringing it to another level. This ground plane has many uses and performs great function-almost all of our functions, but as designers we need to reach beyond simple function. We need to reach for great spaces and places. Memorable form, grace beauty, structure along with that function. For those of you stuck on the ground, get off that singular plane and add more planes, create the forms. Forms that allow for the designing and creating of great structures, elements and spaces. Disclaimer:I drew both renderings before I whipped out those fast plan view versions of the space(s). Surprise for those who come to this page only-at some point! Here’s a look at someone who followed a very different type of design principles and a way of designing landscapes . . . art that become art in the landscape. Above is the tapestry work by the Brazilian artist and great landscape designer Roberto Burle Marx, the man was an incredible unique talent, a real one of a kind. To me his guiding principles were texture and color. es of design-in my opinion the 10 basic principles, I felt a follow-through was needed. I found these on a blog called slow movement, a collection of a lot of varied material, thanks for the post about RBM. After the previous post on the 10 basic principles of design-in my opinion the 10 basic principles, I felt a follow-through was needed. This work by starting out with a point in space, we take this single point and add several other points together . . . connecting the points to create a line. From here we connect several line together and presto-bingo! A plane is formed. Looking at this from a design perspective the 1st plane we deal with is the ground plane. The lines for the ground plane are the 4 horizons/horizon lines you see to your front/back and left/right. Even more specifically to landscape designers the ground plane is the perimeter lines/boundary lines of the property. We can get even more specific about this ground plane if our client only wants us to focus on the backyard, or perhaps we are only to look at a entry to the garage/front door. This just shrinks the ground plane the Designer is looking at or working with. Looking right down there, taking a measurement or two and looking for a way to connect a few lines to create a plane within a plane. We are working on that ground plane, and looking for all solutions there. Here’s the real issue in understanding planes and how most Designers fail in their work. I will digress for a moment. Let’s face it most work in the U.S. is mediocre at best and I think I know why. The failure to get off the ground plane. To work only looking down. To draw everything in plan view, sketch lines in plan view, measure in plan view, look for solutions in plan view. The homeowner is leading you around the yard-looking down, you’re looking down, the dead shrubs or broken concrete is down there. Heck it’s all down there. But it’s not all down there, it’s about more than 12 shrubs across the front, 2 trees, 3 pallets of sod and some mulch. Great design is about the entire space. We need to quit looking down, we need to think, sketch, draw, conceptualize, create, develop, and find solutions in 2dimensional and 3dimensional thinking. We live in a 3 dimensional world and it’s time all Landscape Designers design that way. For me it’s a simple recognition of looking at all the planes(6) and finding the best was to work with them. To create the best designed space we possibly can. In it’s simpliest explanation you have the ground plane, the house is usually 1 vertical plane, and walls, fences, trees, large shrubs, pots, pergola post, etc., can all be considered vertical planes, or at the very least elements that make up (a) vertical plane(s). It’s making these planes relate to each other and connect with each other-landscape design. This way of designing/thinking also should lead to a new design process through sketching/drawing/conceptualizing. The ability to render or sketch 2 dimensionally, or in perspective makes this process go much faster. Sectionals are another drawing tool in looking at these vertical planes. Get off the ground. Quit looking down. Well how do we just know? How do we know right from wrong? And; maybe most importantly, how do you teach intuition? gut instinct? feel? <shrugs shoulders at the keyboard> I don’t know, is that even possible? I know I’m not anywhere near smart enough to teach Intuition 101 in Landscape Design. I am anxious to hear what you think. But we aren’t there yet, those are yet to come . . . in my way of thinking how Landscape Design should be taught. Addendum: I went over this several times to try and make it read and or sound cohesive or somehow make some sort of sense. I continually am working this process through my head. The entire idea of what landscape design principles really are is becoming close to an obsession with me. It seems no matter who I talk to the answer is different, and a lot of times . . . it’s really different. Occasionally an academic or two will sound the same line, describing by rote some class they have taught over and over to wandering minds sitting in rows, inside a room, behind some walls their version of LD 101. Not in the field, the wind, the dirt, the sun-or rain and mud. Dealing with clients who more than likely have unrealistic expectations, desires and dreams . . . this is design in the real World. This is most likely where I will find my answers. All rightie then, coming off the heels of the previous post with the good Doctor here comes some more wackiness. What I have below is what I thought was the most beginner of beginning design. Where all Landscape Design starts. I have not touched or amended any of this. I wanted to show exactly what I had written for this 4 hr workshop on Beginning Design for landscape professionals. The workshop was promoted for beginners and I assumed I’d have beginners. In reality I had a class of around 25 that was across the board. From complete rookie novices all the way to those 3 guys(I remember them clearly)* sitting on my right, who had been around for quite awhile. These ten create 3 dimensional design in the fullest sense. When you create with all 10 in mind you can achieve great design. The above create the 3 dimensional World we live in. This is the outline I started this class with and went through these 10 in around an hour; of those 4 hours for the workshop. Moving on to other principles as I thought the class was picking up on the above. Are the above 10 where we should start when looking at design principles? Are they even design principles that need discussing when it comes to landscape design? If they are , is this the way the 10 should be separated? For the record I think so. Especially when it comes to explaining 3 dimensional work, and getting off the ground plane-but I digress.If those are the 1st 10, where do we go from here? If they really aren’t where is the actual starting point for teaching landscape design principles? I’m sure I am missing some questions above about what I consider the 10 building blocks. So ask away. We cannot find answers without examining and questioning. I am not really wanting to get on to more advanced principles, or even arguing what are more advanced principles. I really am wanting to know where the start is. The actual starting line for teaching. Everywhere I look the teaching. writing, lecturing is so very different. I can’t even count the number of times where I’ve sat in on a talk on supposed design principles and the talks are all over the board(see previous post/video) on those principles beginners must know. I bet I could do a 2-4 day workshop where we could gather designers and do nothing but discuss those principles, identify those principles and have great argument as to what those design principles really are. Sounds like a lot of fun, Are you up for it? Back to the above, sound off about the above, let me know how you feel/think/teach/design/practice. Let the argument begin . . .
* I remember some of the discussions I had with those 3 they were clearly interested in what I had to say. They were interested in exploring from another perspective what design principles are and how we/they/I look at them. There was also talk about how little is offered in the Green Industry on design principles, what they are, and how to really apply design principles in a productive way. Are you listening ANLA? I enjoyed the give and take immensely. Here’s a video from Dr. Ann Marie VanDerZanden of Iowa State University discussing “principles of landscape design”. In my mind this is more controversy concerning design principles. Going back to my earlier posting on just what in the hell are design principle, beginning design principles, and the biggie . . . what are advanced design principles ??? Where are those in the list of design principles? Was that a good explanation of the 5 principles she described? I plan on going much further into this discussion, I am more convinced by the more I read that there is no real consensus, no real agreement on starting point. I’m sure the usual suspects will e-mail me, I also welcome comments left below. Oh, I almost forgot there was a link I had found tucked away with this video. The page is a collection of links to extension sites. crane, i am a ls contractor and that has led me (intuitively) into design for my customers. I enjoy your wanderings they seem to be outlining the static bench points in my head. thanks. If you come to the charlotte area i would try to come see you. Also, it was nice to see someone else disgusted with plan views supposing to be complete designs… oh that looks so nice, but can you live in those circles on that piece of paper? Rick – I have your page link on my Google home page – but have not visited for some time so apologies for coming to the discussion on Design Principles late in the piece. Boy what a huge, complex and stimulating topic! It is a subject I have grappled with in study, in private practice and within myself – although much of my thinking has been from the angle of ‘what makes a great garden?’ i.e. why do we judge some gardens to be superior over others – eventhough much of our judgement is fundamentally a personal one?. Our judgements tend to fall into two camps 1) design fundamentals – paths / focal points / scale / borrowed views / structural dimension etc.etc. 2) how it makes me feel – the emotional response it stirs in me – often not something we can articulate as easily as how the garden structure follows principles of design. Funnily enough great gardens that ellicit these emotional responses tend to reflect the design principles we attach to ‘good design’ but my on-going question is ‘do the great designers know they are following these principles or are they doing it instinctively – and in doing so creating principles of design for we mere mortals to try to follow?. Out of this thinking has come two strains of thought for me 1) can designers (people who do great design) be taught / created, or are they born? 2) and how important are the ‘principles of design’ versus the influence of intuitiveness, emotion and passion in design? Personally (and somewhat confrontingly – given that I am a designer) I believe that designers are born (as I believe that great mathmeticians are born – you only need to look at their dress sense as teenage students to know that their brain is wired very differently). Did Jackson Pollack knowingly apply principles of design – no he was an experimental painter caught up in a haze of alcoholic madness – but we judge him a genius (as I agree he was) – interestingly many great designers (primarily painters) have a level of mental disease – often bi-polar. I could ask the same question about Roberto Burle Marx, Antonio Gaudi, Karl Lagerfield and Capability Brown. Where am I heading with these ramblings? I guess my point is – ‘structured’ principles of design are obviously a fundamental starting point for students of design – but I don’t feel enough focus is placed on the ‘personal intuitiveness’ of design and the development of this in young designers (maybe in the fashion industry it is?!). I think great landscape design comes from designers who reflect, or accentuate some of the following – a sense of place / a visual plan in their head of how the mature garden inter-relates to each part (difficult when working on a big scale) / a tightly defined and executed theme (often dictated by existing hard structures – such as a house or building or borrowed landscape) / and probably most importantly, an instinctive confidence to be the visionary and pull it all together – whilst possibly combating doubters and critisism. Just some thoughts – and obviously I have only scrathed the surface of what is a huge and facinating discussion. Thankyou for pursuing it – the time and energy you put in astounds me. Interesting weblog! Is your theme custom made or did you download it from somewhere?